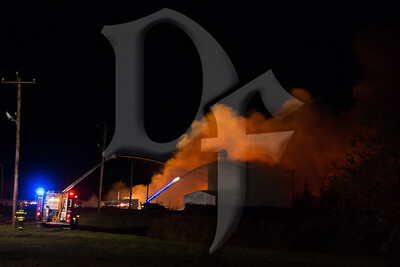 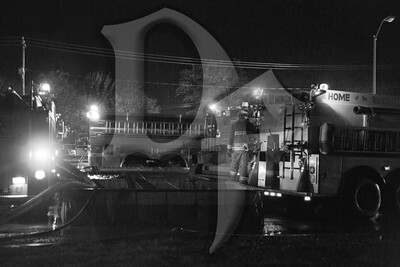 November 1, 2014 - Caledonia firefighters responded to a fire at Commodity Resource Corporation's distribution facility on LeRoy Caledonia Rd. 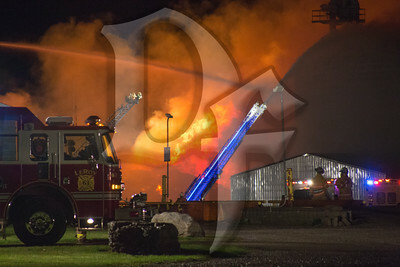 just before 11:00pm. 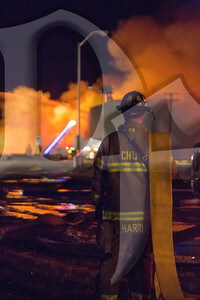 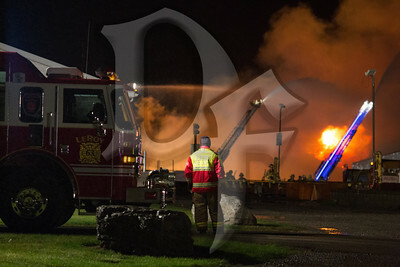 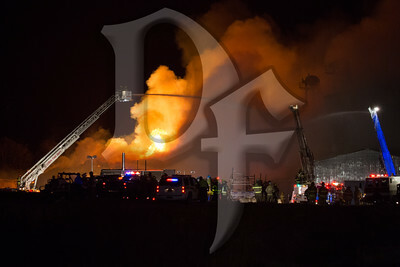 On arrival part of the facility was already fully involved and multiple mutual aid companies were requested immediately. 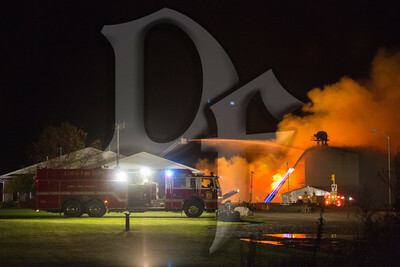 The complex houses a non-flammable type of fertilizer which led to the Livingston County HAZMAT team being called in to help control runoff from the fire and prevent it from contaminating a nearby creek. 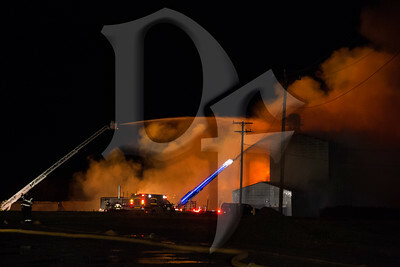 The building itself is considered a total loss and firefighters are expected to remain on scene for the next few days dousing hot spots and monitoring conditions. 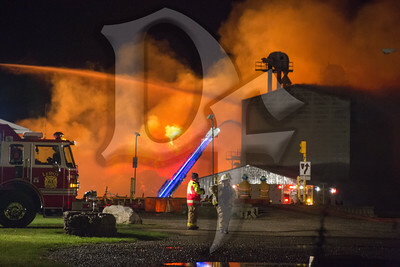 The cause of the fire was determined to be spontaneous combustion by the Livingston County Sheriff's Office and Emergency Management Fire Investigators. 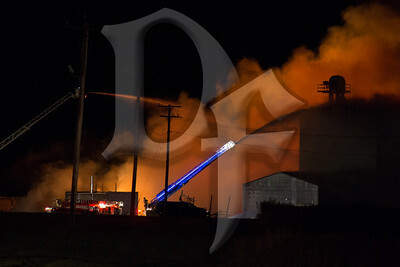 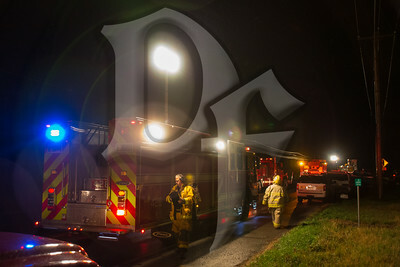 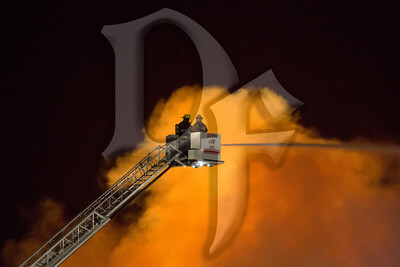 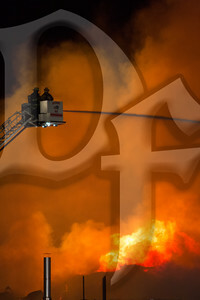 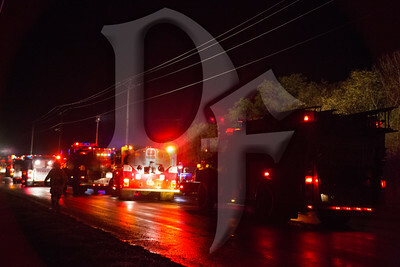 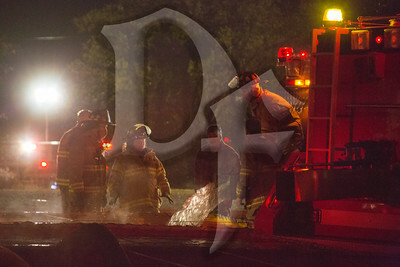 In all, more than 20 different fire departments from at least three counties responded to the blaze. 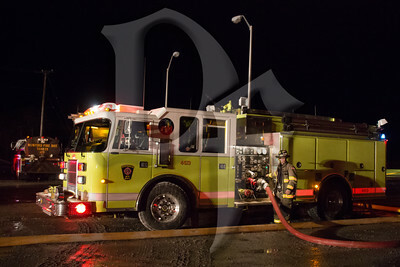 Due to the size of the fire a large water supply operation was needed to supplement the hydrants in the area and many tankers were used to shuttle water from several drafting sites located around the area.